Fox is about to have the happiest and saddest day of its 2014-15 season. No, that day is not today, even though tonight marks the two-hour season finale to its breakout hit, Empire. Instead, that moment will come tomorrow morning, when overnight ratings finally come in and will almost certainly reveal an unbelievable 10th week of growth in total viewers. The audience began at 9.9 million in its January debut and has continued growing to 14.9 million last week. Ratings in the coveted 18-49 demo have also grown from a 3.8 for the first episode to 5.8 last week. Could it crack a 6 tonight? But just as it's celebrating its success tomorrow morning, the network will also realize that with Empire signing off for the season, the euphoric ratings news each Thursday has also come to an end. The only thing that could stop the hip-hop soap opera's continued meteoric rise, it turns out, was its 12-episode Season 1 duration. While the drama swooped in and helped save Fox's season in January (with the help of a superb marketing campaign), its rapid ascendancy up Mount Nielsen ends this week. Starting next Wednesday, Empire's time slot will be taken over by American Idol, which expands to two hours, and unless Fox takes action, more than half of Empire's 18-49 audience will vanish from the network. Fox's challenge is to keep those viewers engaged—and hopefully, still tuned in—between Thursday and whenever Empire returns for its second season. It's a major concern for the network, whose viewers don't respond well to lengthy show hiatuses. Its 18-49 ratings for fall 2013 hit Sleepy Hollow (which went off the air in January 2014) dropped 40 percent in Season 2, while The Following is down 24 percent in this month's Season 3 return. The network needs to prevent that same erosion from happening with Empire, the biggest new prime-time hit in decades. At the same time, Fox can't rush back the show back into production for a quickie Season 2, given Empire's elaborate production and music requirements. This is also causing a conundrum for Fox as it plots next season's order, which will be at least 13 episodes. "We're talking about it right now. It's a balancing act. There are a lot of production pressures on this show because every episode has to have at least a piece of original music," Fox Television Group co-chairman Dana Walden told me last month. "I don't think Empire's going to be a 22-episode order next year, but we're trying to decide exactly what the right number would be that places an emphasis on protecting the show." The good news for Fox is that by the time Empire became an instant hit in January, the networks were late enough into this year's development cycle that the Empire clones—and yes, there will be Empire clones—won't arrive for another year. So Fox still has the field to itself until then. In the interim, there are several opportunities for the network to capitalize on Empire's massive audience and goose the network's ratings, without tarnishing the still-expanding brand before it has a chance to realize its full potential. 1. Rerun Season 1 as a "Deluxe Version"
Most major album releases come with a "deluxe version" option, offering a few extra songs and other additional material beyond the standard option. Fox should take this same approach by repeating, and rebranding, the show's first season as Empire: Deluxe Version, enhancing each Season 1 episode by adding in deleted scenes and longer versions of the original music, along with a Talking Dead-style wrapup of each episode at the end to hold a full two hours of programming. The result would have less filler than, say, a typical results episode of American Idol. While the conventional wisdom is that TV audiences no longer watch repeats (unless the show in question is called The Big Bang Theory), until two months ago, the conventional wisdom was also that mass broadcast hits aren't possible, nor nine consecutive weeks of viewer growth, and Empire disproved both of those. 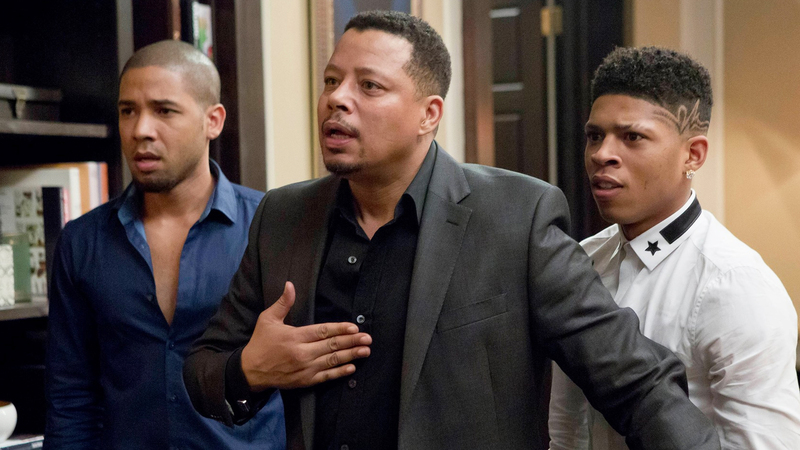 If there's any drama that could draw respectable ratings even in repeats, it's Empire. Fox mulled an Empire summer tour featuring the cast, much like its Glee tours early in that show's run, but determined one wasn't possible during this hiatus. While a multi-city tour might indeed be too ambitious, a one-night-only concert—televised on Fox, of course—would be another matter entirely. In addition to maintaining Empire's momentum, Fox would also love to find a new fall music competition to replace The X Factor, which bowed out in fall 2013. That's one reason that Walden and co-chairman Gary Newman have been meeting with Simon Cowell about creating a new competition show. Now, its best opportunity for not only a new competition show, but also one that doesn't just feel like a Voice/American Idol clone, has just fallen into the network's lap. Taking another page from Glee, Fox should mount a truncated version of Oxygen's The Glee Project in the fall, in which aspiring hip-hop artists show off their vocal skills and compete for a featured role in Empire Season 2. The network could run it in early fall, well before Empire's second season, sprinkle in Empire cast guest appearances every week and tease new footage from the upcoming season. One essential element: the involvement of Timbaland, the show's executive music producer. This … is American Hip-Hop Idol! If only Fox could insert one of Empire's leads into another series over the summer to help pick up the ratings slack—oh wait, it's already done that! The show is Wayward Pines, a limited series about a quirky small town that was filmed more than a year ago and is finally coming out of mothballs on May 14. The show stars Matt Dillon, but it also features Terrance Howard in a big supporting role as the town's sheriff—a part he filmed right before Empire. While Fox's advertising for Wayward Pines doesn't have to focus solely on Howard, it should play up as many Empire parallels as possible. If his character happens to croon or strike someone on the show, that scene should be front and center in every Wayward Pines promo. A decade before Empire, UPN launched its own drama about a hip-hop family empire: Platinum, which ran for six episodes in 2003. Fox could acquire the drama, which was written by John Ridley (who won the Oscar last year for writing 12 Years a Slave and also created ABC's American Crime) and Sofia Coppola, and run the six episodes in a low-risk summer spot. And if Fox doesn't do it, another network should step up and try it. The show's ratings will be the best indication yet whether that genre has life beyond Empire, or if that show is an anomaly. Last week, COO Joe Earley made good on his plan to insert Empire cast members into American Idol, but the network shouldn't stop the Idol synergy there. It's time for Empire Week, where all the Idol finalists must perform an original song from the show. Wouldn't you rather see that than yet another recycled theme week, like the one where contestants sing music from the year they were born? While Empire boasts original songs every week, the Christmas season would finally allow the cast to record an album mostly of covers (Run DMC's perennially underappreciated "Christmas in Hollis," for starters) along with a few original Christmas-themed songs. In the process, it would keep the show's music on the charts even before Season 2 material is released. Who wouldn't buy "A Very Cookie Christmas," in honor of Taraji P. Henson's breakout character? Especially if Season 2 is held for midseason, a holiday album would ensure that that new cast music would be playing all November and December, and could allow Fox to air an Empire Holiday Special with the cast. Fox, NBC, CBS and ABC rotate the Primetime Emmy Awards telecast each year, and it's Fox's turn for the ceremony this September. The network has already tapped Brooklyn Nine-Nine star Andy Samberg to host, but it needs to feature the Empire cast in a major way that night. For starters, let them take over the staid red carpet pre-show, which would make that a must-watch event for the first time in years. Forget E! 's mani-cam—I think we all want to see the Cookie Cam.